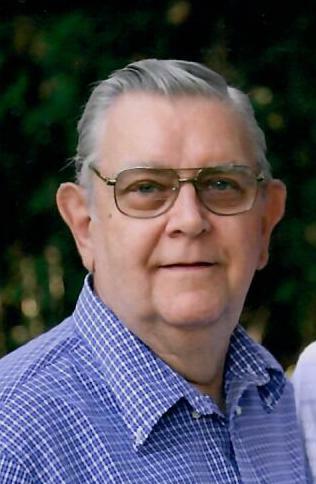 Loudonville - James E. Hogan Jr., 85, beloved husband, father and grandfather passed away suddenly on February 8th at his home. James was born on June 22, 1933 at a house on Martin’s Hill, Ravena, NY. He was the son of the late James E. Hogan Sr. and Helen Hogan. After attending school in Ravena and Albany, he joined the US Marine Corp in 1953. He received numerous awards, notably Expert Marksman, and became a decorated Marine while serving 3 years during the Korean Conflict. He remained a member of the Marine Corp League and believed in the motto “Once a Marine always a Marine”. Upon his return, he worked for Western Electric. He married the love of his life, Marie, in 1957 and they had three children together. In 1960, he began a 33-year career at Niagara Mohawk where he was an Underground Electrical Foreman. An avid family man, he loved participating in his children and grandchildren’s many activities. He was predeceased by his 7 sisters Lois, Doris, Carol, Wilma, Jenny, Betty and Helen. He is survived by his wife Marie and his children James E Hogan lll, Michael (Carrie) Hogan, and Colleen (Ron) Filkins. James was the proud grandfather of Brooke Randall (Michael), McKayla, James, Ethan, Leighana, and Jacob Hogan, and Trevor and Brent Filkins. He is also survived by his brother in law George Pauley, sisters in law Angela and Maureen Pauley, and many nieces and nephews.